Each day here so far has brought such a completely new set of experiences – so far removed from places I’ve been before – that it’s hard to believe I’ve been here less than a week. I arrived first in Lusaka: a lengthy trip via Addis plus a (longer than planned) stop in Harare. Two other trustees from The Book Bus (David, who has been the driving force behind the charity, and Gerard, a children’s books publisher who has donated many books over the years), arrived the following day, having first visited the site in Livingstone. By way of recap, The Book Bus (www.thebookbus.org) aims to improve child literacy rates by providing children, in sites in Africa and South America, with access to books. 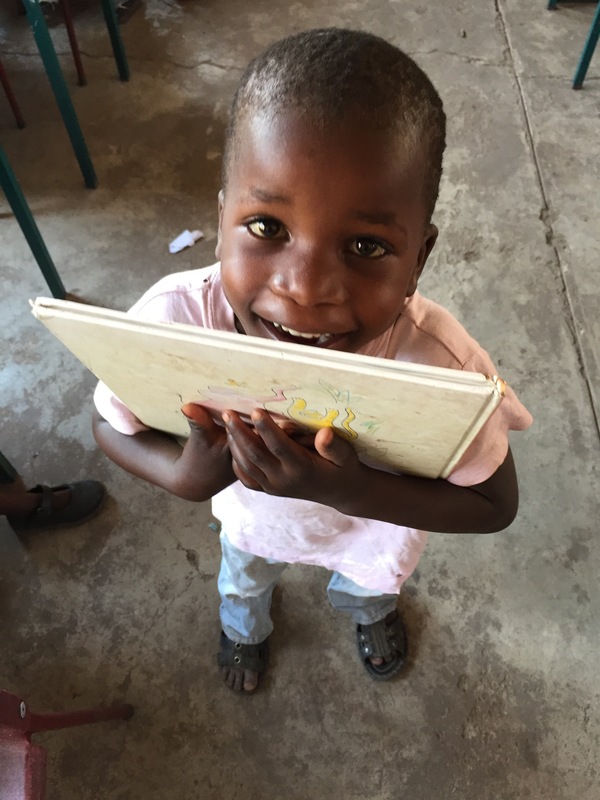 A core objective is to give children the inspiration to read, both through volunteer-led reading groups and, piloted here in Zambia, a mobile library service. Having spent some initial time in Lusaka, tagging along to meetings with a Zambian publisher and with The British Council, I flew with the others to Mfuwe, on Saturday. And since then, I’ve had the chance to make a few visits to two of the local schools. As with my experience in Ethiopia, it’s been both humbling and very moving. As the bus draws into the village, hordes of children appear shouting ‘Sarah, Sarah’ (our coordinator here in Luangwa). They are beside themselves with excitement. And when you see the schools themselves, it begins to make sense. Although by no means the most deprived in Zambia (being close to the park, they do get some trickle-down benefit from tourism), their teachers have next to no resources to work with. Some hand-drawn posters on the walls, and a carefully controlled supply of chalk in the headmistress’s office, were about all I could see. But despite that, there was no lack of enthusiasm from either the children or the teachers. The concept of a lending service is new to the school but Martha, the local teacher, is supporting it enthusiastically, with very strict controls around the fortnightly return and reissue of books. The next plan is to establish a permanent reading corner, with books supplied by The Book Bus (one of my first tasks was to help Sarah paint it – in nearly 40 degrees heat, I’ll have you know…). We also visited a pre-school: again, minimal materials available to keep the kids occupied, so the books generate much excitement (chaos, in fact!). After being issued with the new books, the children immediately rushed off to huddle in corners, alone or sometimes in groups, to work their way through them. Given teachers are very stretched (class sizes can reach over 100), children are strongly encouraged to read at home with their parents. However with literacy rates in that generation being quite low, I heard from most of them that this wasn’t an option. Where possible, they rely on the help of siblings. To add to the challenge, there are over 70 languages in Zambia (7 officially recognized by the government). At the age of around 12, teaching in all subjects switches to English – so getting this early grounding in a language that may not be spoken at home is crucial for their future success. By the way, for anyone that might be interested in volunteering at some point, the Book Bus sites are well placed also for superb travelling experiences. For instance, there’s a project in the Galápagos Islands, and one in the Shire Valley in Malawi. In Zambia, The Book Bus work with deprived schools close to Victoria Falls in the South and, here where I am, on the edge of one of Africa’s most unspoilt and wildlife-rich national parks, South Luangwa. Thanks so much for sharing your experiences. You are opening a window on apart of the world and those micro experiences that make up that patchwork of the bigger picture. It is so interesting to hear all about what you are up to. It may not be cost effective, but I have a lot of children’s books that Ben has grown out of which are in great condition. We don’t realise just how fortunate we are. Thanks Alan and love from Ireland (tho’ that’s not for long as we are moving to Bristol….that’s another story). Would love to volunteer by the way – can families volunteer?